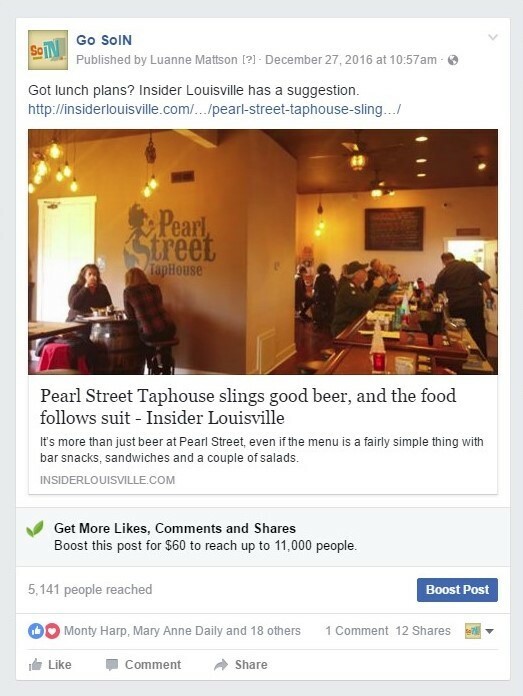 The Facebook post with the highest organic reach and engagement was our post sharing Insider Louisville’s story on the Pearl Street TapHouse. 75 reactions, comments, and shares. 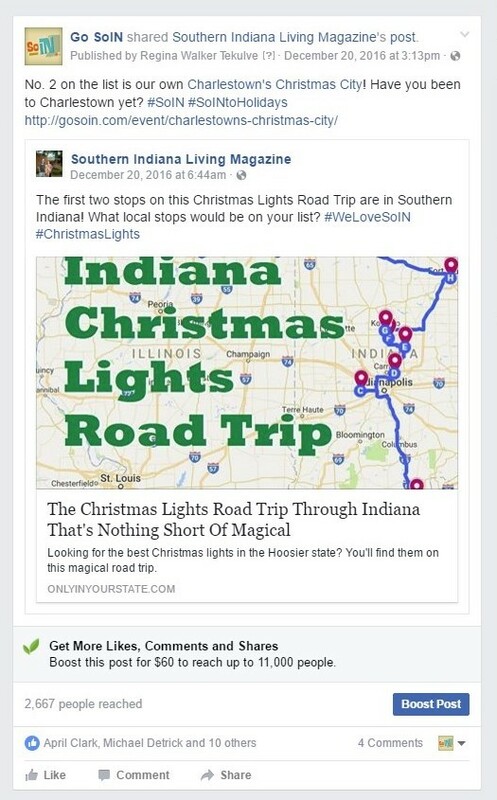 The Facebook post with the second highest organic reach and engagement was Southern Indiana Living Magazine’s Indiana Christmas Lights Road Trip map, which included Charlestown’s Christmas City. How often do you share other FB posts to your page? Tip! To get the most reach and engagement from your audience, include relevant photos and posts from other business and personal Facebook accounts. The shared content will often have a greater impact and may help generate more likes from an audience you may not have considered. 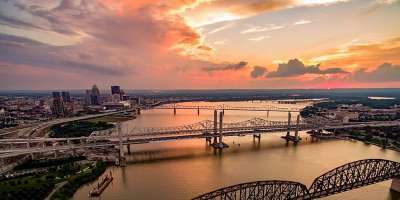 Like our Facebook page, so we can share your posts!